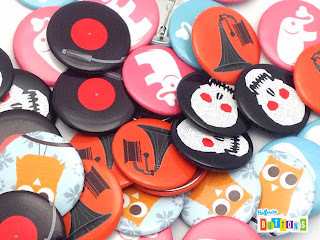 Let these full color pinback buttons inspire you in your next creative efforts. These unique designs are fun, and colorful! A record, a phonograph, elephants, owls, and a skull! What's not to love about these buttons?